Celebrating the life of William C. Schley Sr.
Obituary for William C. Schley Sr.
William Clifford Schley Sr., age 72, passed away on Sunday December 2, 2018 after a short battle with bone marrow cancer. He died peacefully at home with his family at his bedside. Born in Cheboygan in 1946, Bill was one of 16 children born to Joseph and June (Anderson) Schley. He married Patricia Hansen on December 7, 1968 at St. Mary’s Catholic Church and they made their home in Cheboygan. Bill graduated from Cheboygan Catholic High School in 1965 and served in the U.S. Army in Vietnam from 1966 until 1968. He received several medals for his service, including the Vietnam Service Medal with four Bronze Stars, Army Commendation Medal, Bronze Star Medal, Purple Heart Medal, Valorous Unit Award, and Good Conduct Medal as well as several other medals and badges. A lifelong resident of Cheboygan, Bill worked for more than 25 years at H & H Tube Manufacturing and was a longtime member of St. Mary – St. Charles Catholic Church. An avid ball player, Bill played men’s fast pitch softball and enjoyed hunting, fishing, and the outdoors. He loved tinkering and could often be found in the garage working to fix or repair something. A caring and generous person, Bill always gave to those who needed help. Surviving are his four children, Lori Kasubowski of Alanson, Dawn (Jeff) Beaubien, William Schley Jr., and Eric Schley, all of Cheboygan; grandchildren, Samantha (Jeremey) Raymus, Ashley and Jessica Beaubien, Anna LaCross, Nick, Jack, Ben, and Sophia Kasubowski, Brooke (Chris) Demeuse, and Isabel Schley; as well as many great grandchildren. Bill also leaves his sisters, Helen Boyea, Virginia Rauch, Cathy (Robert) Scarbrough, Jane (Robert) Boyea, and Lois Simmons, all of Cheboygan; brothers, Mitchell (Barb), Donald (Marlene), David (Rebecca), and Lee (Landa) Schley, all of Cheboygan; in-laws, Jim VanParis, Todd Woiderski, Mary Schley, and Cheryl Schley; and numerous nieces and nephews. Bill was preceded in death by his wife, Pat (2017); sisters, Mary (Mike) Mankin, Judy Van Paris, and Michelle Woiderski; brothers, Joe (Ruth), Jerry, and Barry Schley; nephews, Gerald Schley and Kirk Mankin; niece, Beth Schley; great niece, Ashley Mankin; and his parents. Visitation will begin with a rosary service at 9:00 a.m. on Wednesday December 5, 2018 at St. Mary – St. Charles Catholic Church and will continue until the time of the funeral mass at 11:00 a.m. Father Duane Wachowiak will officiate. 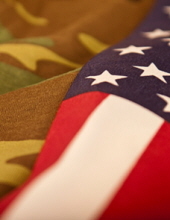 Military honors will be held at the church immediately following mass. Bill’s final resting place will be at Calvary Cemetery. Those planning an expression of sympathy please consider in lieu of flowers, a donation in memory of Bill to St. Mary – St. Charles Catholic Church. To plant a tree in memory of William C. Schley Sr., please visit our Tribute Store. "Email Address" would like to share the life celebration of William C. Schley Sr.. Click on the "link" to go to share a favorite memory or leave a condolence message for the family.